Mark contacted me a couple weeks before he was going to propose to Alyson. 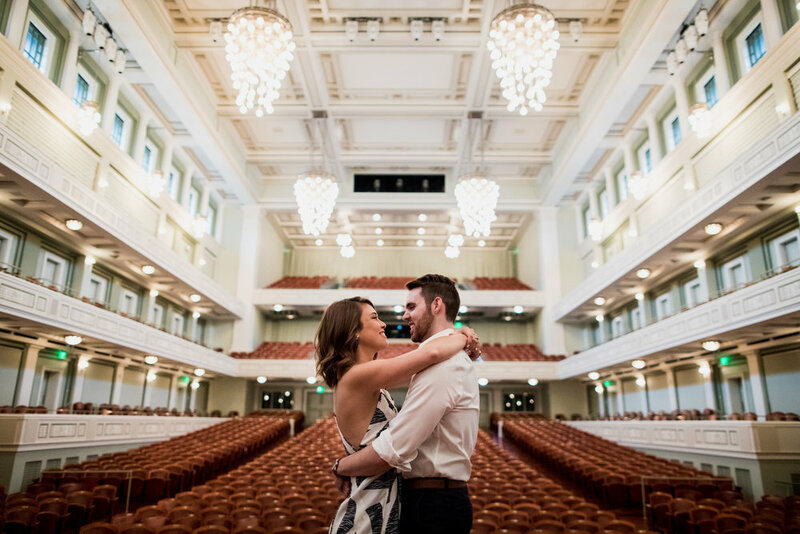 The Schermerhorn Symphony Center in Nashville, TN is one of their favorite venues to attend events and he couldn't think of a better place for him to ask Alyson. 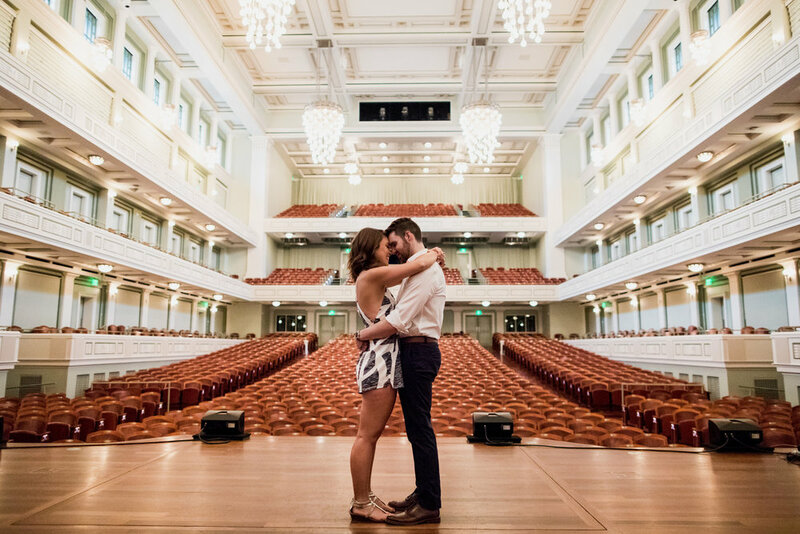 Being a Nashville wedding photographer and avid symphony center enthusiast I just about fell out of my chair at this opportunity. 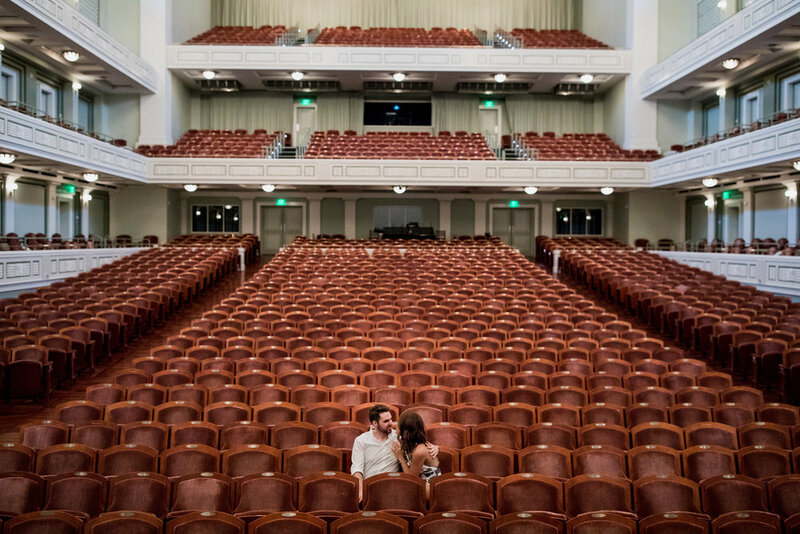 After that we had a few minutes to take some more pictures of the newly engaged couple around the concert hall. Next year they'll be getting married at The Cordelle in Nashville and I'll be lucky enough to photograph their big wedding day.